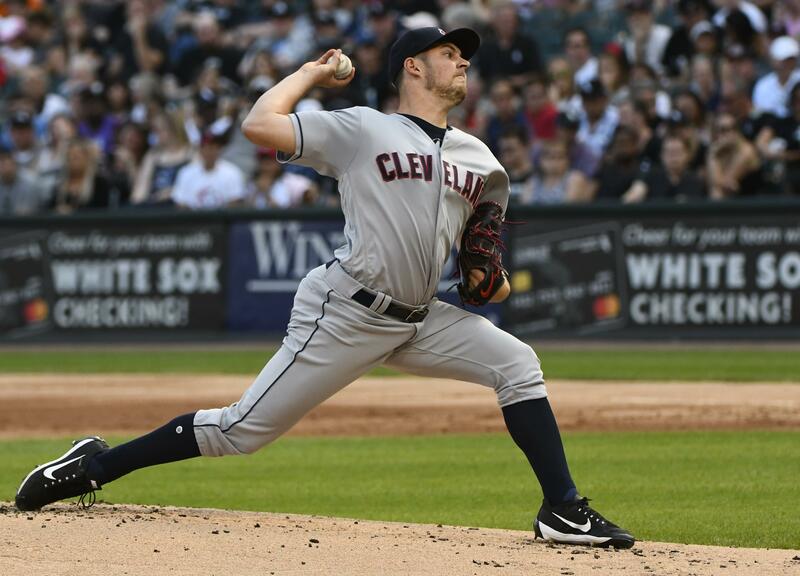 Tue., Aug. 14, 2018, 7:53 p.m.
CINCINNATI – The Cleveland Indians lost one of their best pitchers Tuesday when they placed right-hander Trevor Bauer on the 10-day disabled list with a small stress fracture in his right leg. Cleveland is in complete control in the A.L. Central, leading second-place Minnesota by 12 1/2 games coming into the day. But any lingering issue with Bauer could hurt its chances of advancing in the playoffs. Bauer was struck by Jose Abreu’s liner in the seventh inning of Saturday night’s 3-1 win at the Chicago White Sox. He returned to Cleveland after experiencing soreness and swelling, and an MRI revealed the injury. Bauer is one of the top candidates for the A.L. Cy Young Award. The 27-year-old right-hander is 12-6 with a 2.22 ERA in 25 starts. This is his first career DL stint. Left-hander Tyler Olson was recalled from Triple-A Columbus to take Bauer’s roster spot. Right-hander Adam Plutko will make his seventh start of the season in place of Bauer on Saturday. Bauer leads the A.L. with 166 innings pitched while ranking second with 214 strikeouts and third in ERA. Published: Aug. 14, 2018, 7:53 p.m.